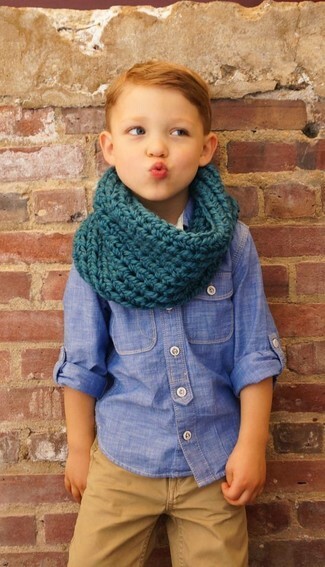 Suggest that your kid pair a dark green sweater with tan trousers for a comfortable outfit that's also put together nicely. 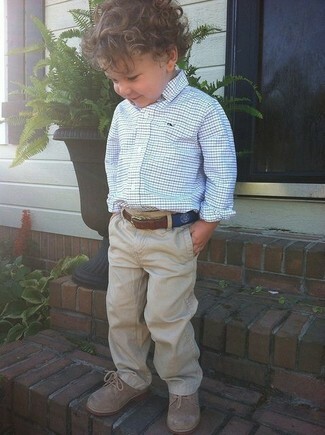 As for footwear your little man will love tan oxford shoes for this getup. 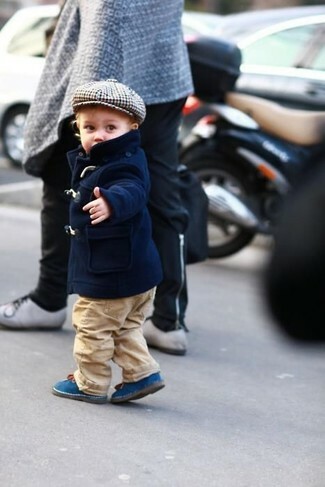 Suggest that your little one wear a navy jacket and tan trousers to get a laid-back yet stylish look. Blue boots are a nice choice to round off this style. 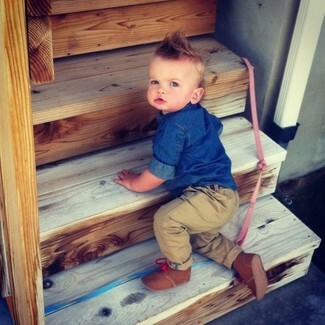 Consider dressing your little angel in a blue chambray long sleeve shirt with River Island mini boys tan chino pants for a sharp, fashionable look. 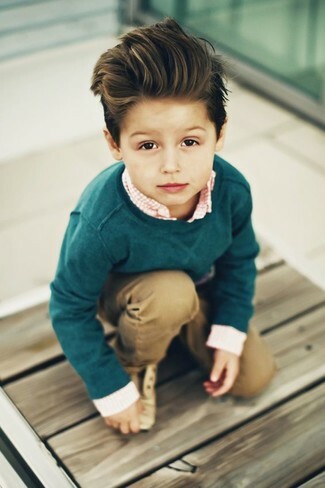 Suggest that your little angel wear a blue denim long sleeve shirt and River Island mini boys tan chino pants to help him look like a true little gent. Brown boots are a good choice to finish off this getup. Go for a white and blue long sleeve shirt and River Island mini boys tan chino pants for your munchkin for a sharp, fashionable look. Tan oxford shoes are a great choice to complement this getup. 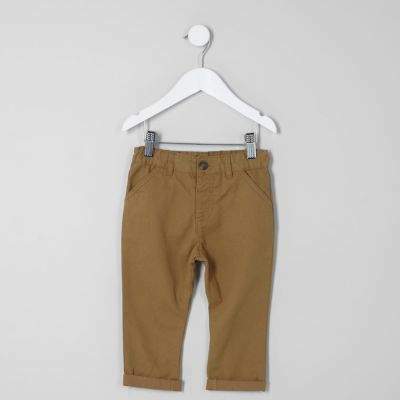 Suggest that your son go for an olive jacket and River Island mini boys tan chino pants from River Island for a dapper casual get-up. Round off this ensemble with tan boots. 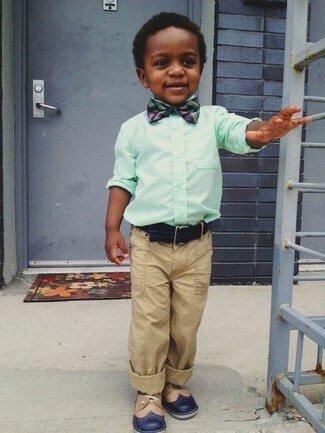 Create an enviable style for your little angel by suggesting that he opt for a mint long sleeve shirt and River Island mini boys tan chino pants from River Island. Finish off this look with navy oxford shoes. 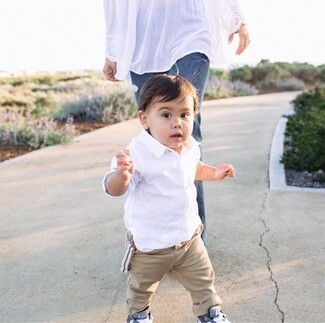 Suggest that your little guy opt for a white long sleeve shirt and River Island mini boys tan chino pants from River Island for a sharp, fashionable look. 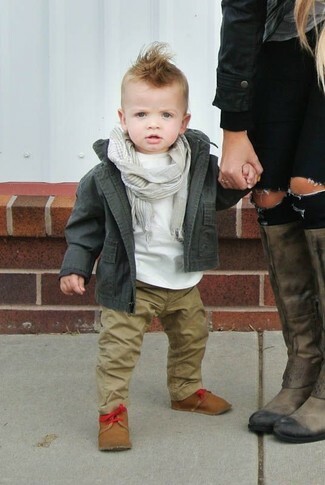 As for footwear your tot will love grey sneakers for this ensemble. 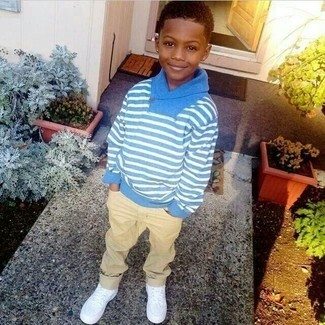 Suggest that your little angel choose a light blue sweater and River Island mini boys tan chino pants for an easy to wear, everyday look. This look is complemented well with white sneakers.